Marilyn Tavenner, administrator of the Centers for Medicare & Medicaid Services, testifies before Congress. As we mentioned in earlier posts, building the Obamacare marketplace was an incredibly complicated job— one that was made even more difficult by Republican efforts to block its construction and the federal government’s outdated approach to big I.T. projects. Still, much of the responsibility for the failure of the site rests with the Obama administration, who repeatedly said it would be ready to go by October 1. (This wasn’t a lie– they seemed as surprised as anyone that the site had such serious problems.) Looking back, it’s clear that the administration made a number of management problems and questionable decisions that made the failure of the launch almost inevitable. Some people intimately involved in the project seriously doubted that the agency had the in-house capability to handle such a mammoth technical task of software engineering while simultaneously supervising 55 contractors. An internal government progress report in September 2011 identified a lack of employees “to manage the multiple activities and contractors happening concurrently” as a “major risk” to the whole project. Putting CMS in the lead role didn’t necessarily doom the project to failure– as The Washington Post’s Lydia DePillis points out, putting outside contractors in charge of projects can also cause problems– but the fact that CMS seemed blind-sided by the extent of problems with the site, suggests that they weren’t up to the task. The Obama administration damaged its own cause by suspending rulemaking activity in the months leading up to the 2012 election. Apparently the administration concluded that it could not risk alienating voters by pushing ahead with ACA implementation during the heart of a reelection campaign, but several months of valuable time were lost as rulemaking languished in the fall of 2012. 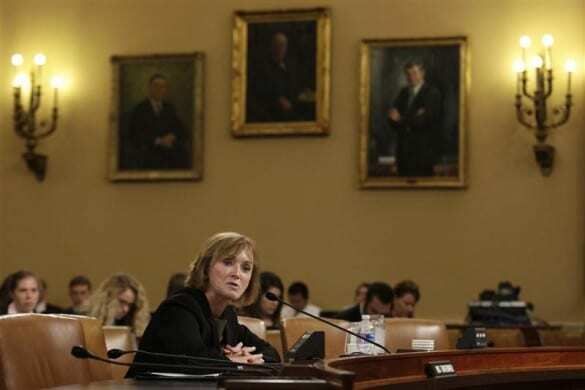 Cover Oregon officials echo concerns expressed in interviews earlier this year with insurance executives and former Oregon Insurance Commissioner Lou Savage: Affordable Care Act federal rule changes were finalized by the federal government much later than expected. The result? Oregon’s lead in programming in January 2013 – when the exchange was arguably operational – evaporated as the state had to go back and fill in the blanks thanks to the new federal direction. Those new rules “had a snowball effect” in cascading delays, Lawson said. As late as Sept. 26, there had been no tests to determine whether a consumer could complete the process from beginning to end: create an account, determine eligibility for federal subsidies and sign up for a health insurance plan, according to two sources familiar with the project. Testifying before Congress last week, contractors who worked on the project said that the tests suggested that the site could not handle large numbers of users trying to log on at the same time… which of course is exactly what happened. It’s still not totally clear why the White House didn’t just delay the launch given the potential for big problems. The best explanation we’ve seen so far comes from the Times, which says that according to some accounts the project’s managers assured them that any remaining problems could be worked out once the site went live, even though some senior health department officials predicted serious trouble and advised delaying the rollout. Originally the site was going to have an option where users could browse insurance plans without registering, but at the last minute CMS removed that option from the site. This meant that everyone who went to the site on October 1 had to create an account and complete an application in order to check out insurance prices– creating a bottleneck that overwhelmed the site. The good news is that the administration seems to have gotten its act together somewhat, and they’re saying the site will be working by the end of November. Next post: Yes, some people who like their insurance won’t get to keep it. Here’s why.